An electron configuration chart is a tabular representation of patterns in the electron configuration of elements as one goes down the periodic table of elements. An electron configuration chart gives information about the orbital structure of the elements and how those orbitals are filled with electrons. Electrons exist in shells that surround the nucleus of an atom. These shells, in turn, have orbitals—regions of the shell where electrons inhabit. Each orbital only has a finite number of spots for electrons. Atoms will fill the orbitals in their shells with electrons until they reach a stable configuration. In general, electrons will completely fill lower level orbitals in lower level orbitals first before moving on to higher orbitals. Electrons will fill orbitals in a specific order. An electron configuration chart of the elements shows the periodicity of the electron structure across the elements. In this chart, the numbers (1, 2, 3,…) are referred to as the principal quantum number, referred to as n, which corresponds to an electron shell. So, 1 refers to the first shell, 2 the second shell, and so on. For any electron shell n, that shell can hold a total of 2n² electrons. Accordingly, shell 1 can hold a total of 2 electrons, shell 2 can hold a total of 8 electrons, shell three a total of 18, etc. Each letter (s, p, d, f) corresponds to a particular orbital (sometimes called subshell). 1s refers to the s orbital on the first shell, 3p refers to the p orbital on the 3rd shell etc. Each orbital (s, p, d, f) has a number associated with it, called its azimuthal quantum number, sometimes referred to as ℓ. This number describes the shape of the orbital. The values ℓ = 0, 1, 2, 3 correspond to the orbitals s, p, d, and f, respectively. The total number of electrons that can fit a given orbital is determined by 2(2ℓ+1). Thus, an s orbital can hold a total of two electrons, a p orbital can hold a total of 6 electrons, a d orbital 10 and an f orbital 14. For any given element, that element’s electron configuration can be represented as some sequence of shell label and orbital labels. The amount of electrons in each orbital is represented as a superscript. As an example, consider hydrogen. Hydrogen’s (H) electron configuration notation is 1s¹. This notation means that hydrogen has 1 electron in its s orbital on the first shell. Similarly, the notation for helium (He) is 1s² because helium has 2 electrons in the s orbital of its first shell. The notation for carbon (C) is 1s²2s²2p² as carbon has 2 electrons in the s orbital of the first shell, two electrons in the s orbital of shell 2, and 2 electrons in the p orbital of shell 2. In fact, one can figure out the electron configuration notation for any element by recognizing the pattern in which electrons fill in orbitals. 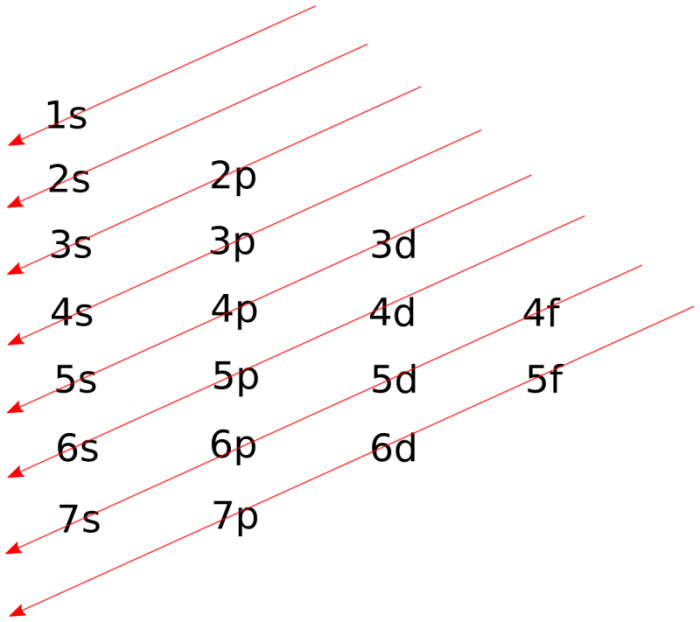 The red diagonal lines in the above chart represent the sequence in which an atom will fill its orbitals. In general, atoms will completely fill a lower level orbital before filling a higher one. An atom will fill all the s orbitals on a given shell before filling in any p orbitals and fill any p orbitals before filling in d orbitals. So, an atom will fill the 1s orbital before filling the 2s orbital, the 2s orbital before the 2p orbital, the 2p orbital before the 3s orbital, and so on. The tendency for an electron to fill in its lower level orbitals before higher level ones is sometimes referred to as the Aufbau principle. The electron configuration follows a periodic order, where lower level shells are filled in before higher level shells. One way to check if the notation is correct for a given element is to see if the sum of the exponents in the notation equals the number of electrons in an atom of that element. Boron (B) has an electron configuration 1s²2s²2p¹. Adding up all the superscript numbers gives us 5, and boron has 5 electrons. Sometimes, writing out the entire notation can be time-wasting, especially for atoms with a lot of electrons. So scientists will often use an abbreviated notation. The electron configuration can be seen as consisting of the core electrons, which is equal to the configuration of the most recent noble gas, plus the valence (outer electron) configuration of the element. So the electron configuration of calcium (Ca) which has 20 electrons, can be written as: [Ar]4s². Essentially, this notation means that the electron configuration of calcium is equal to the configuration of Argon, the noble gas from the preceding period, plus the valence electrons of calcium (4s²). Shorthand notation helps when scientists are dealing with large atoms and molecules. There is a very good reason why electron configuration diagrams reflect the order of the periodic table of elements. The periodic table is laid out to reflect periodic trends in the chemical properties of the elements. As it turns out, those properties are directly determined by an element’s electron configuration. So, it makes sense that the structure of the periodic table reflects periodic trends in the electron configuration of elements. For example, all the electron configuration of all elements in group 2 can be expressed in the form [X]ns² where [X] is the configuration of the noble gas from the preceding period and n is the principal quantum number. Similarly, all elements in group 7 (halogens) can be written as [X]ns²np⁵. Additionally, the division of the periodic table into blocks (s, p, d, and f blocks) reflects the configuration of the valence electrons of the elements in those blocks. The s-block is only 2 blocks wide because it only takes 2 electrons to fill up s orbital subshells. Likewise, the p-block is 6 wide because it takes 6 electrons to fill up p orbitals. It is generally assumed that elements will fill the most available lowest energy shell first and this trend has been experimentally verified. 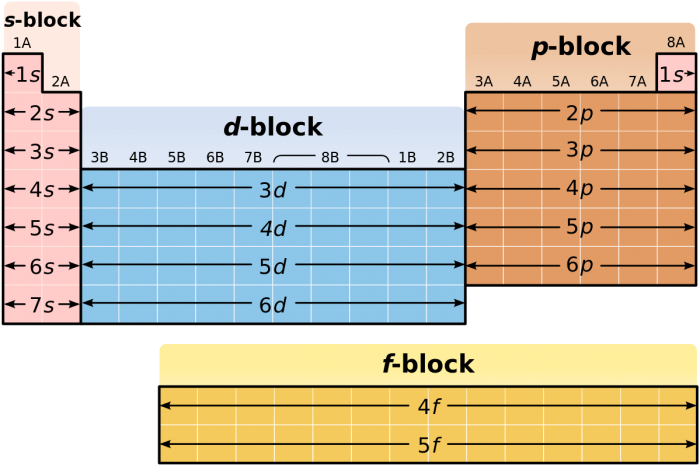 However, there are a handful of exceptions to the Aufbau principle, most notable in the d-block transition metals elements. Copper (Cu) for example, has an electron configuration at odds with what the application of the Aufbau principle would imply. According to the rule, copper should have a configuration of [Ar]4s²3d⁹ because the 4s orbital must be filled before the 3d orbital. However, the actual electron configuration of copper is [Ar]4s¹3d¹⁰. In an atom of copper, 1 electron from the 4s orbital migrates to the 3d orbital, leaving a half-filled 4s orbital. According to the Aufbau principle, the 4s orbital should be filled before the 3d orbital., so what is going on? In the case of copper, the electron migrates because full-orbitals and half-filled orbitals are relatively stable configurations. Copper will move one of the two electrons in the 4s orbital to completely fill the 3d orbital. 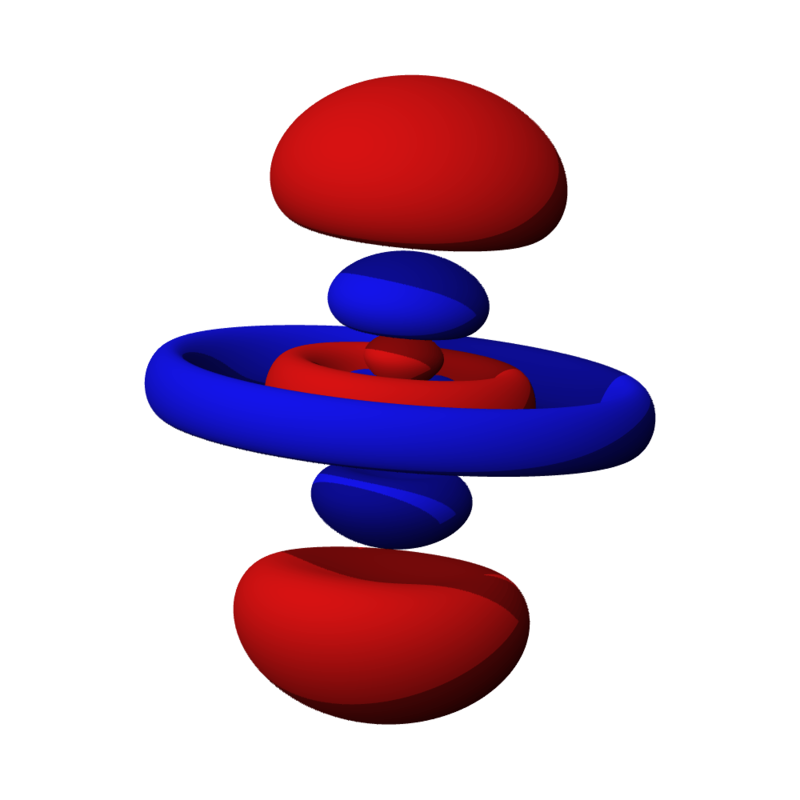 A half-filled 4s orbital and a fully filled 3d orbital is more stable than a full 4s orbital and a 3d orbital with only 9 electrons, so the atom opts for the former state. The existence of these exceptions to the Aufbau principle is due to the fact that atomic orbitals are affected by the charge of the nucleus of the atom and the presence of electrons in other orbitals of the atom. These exceptions become more prevalent as one goes up the periodic table towards the heavier elements. the large, bulky nuclei of heavy elements exert a significant force on the surrounding orbitals, which can make the atom take on electron configurations at odds with the Aufbau principle. In these cases, the electron configuration has to be calculated using a mathematical technique called Hartree-Fock analysis, which aims to account for the effects of other electrons on the shape of orbitals. Additionally, the Aufbau principle does not describe how compounds fill in their orbital subshells. 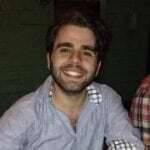 The branch of molecular orbital theory exists to describe the orbital structure of chemical compounds. Molecular orbit theory describes the position of orbitals in a compound and how those orbitals combine in virtue of the wave-like properties of electrons to form bonds. In compounds, atomic orbitals combine to form hybrid orbitals. For example, in a molecule of methane (CH4) the 1s and 2p orbitals or the carbon atom combine with each of the 4 1s orbitals in each atom of hydrogen to form 4 hybrid orbitals, each denoted sp³. The 3-dimensional geometry of a molecule is determined by the kind of hybrid orbitals it forms. Molecules with a linear geometry have hybridized sp orbitals, molecules with a trigonal planar geometry have an sp² hybridization, and molecules with a tetrahedral geometry have an sp³ hybridization. Previous Post« Previous What Do Snails Eat?